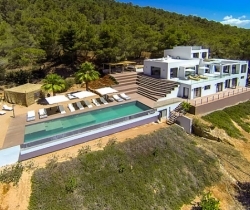 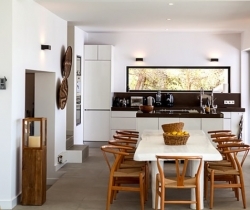 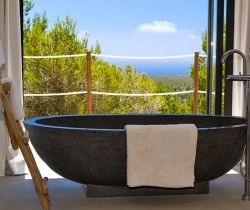 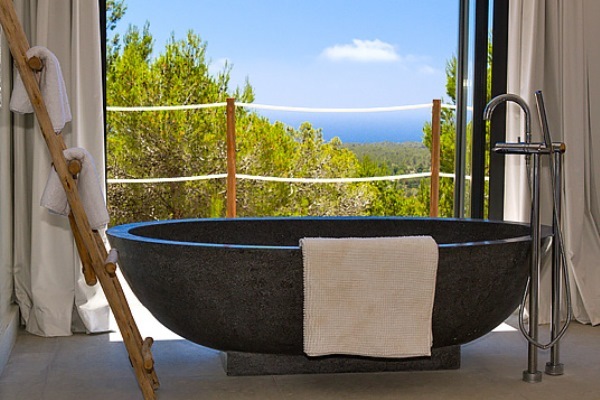 A truly modern and luxury hillside villa nestled amid the pine forested slopes overlooking Porroig Bay, Cala Jondal, Porroig and Es Cubells is one of the most seductive properties on the island of Ibiza. 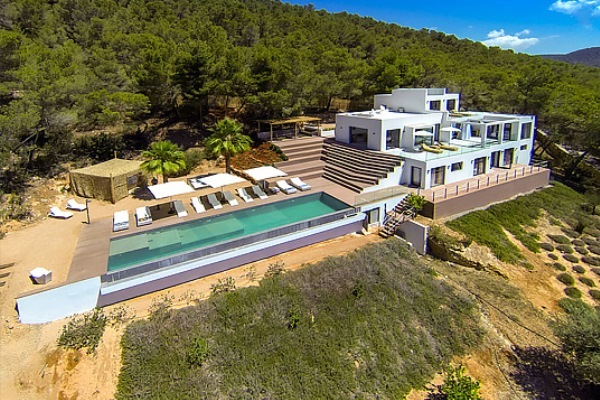 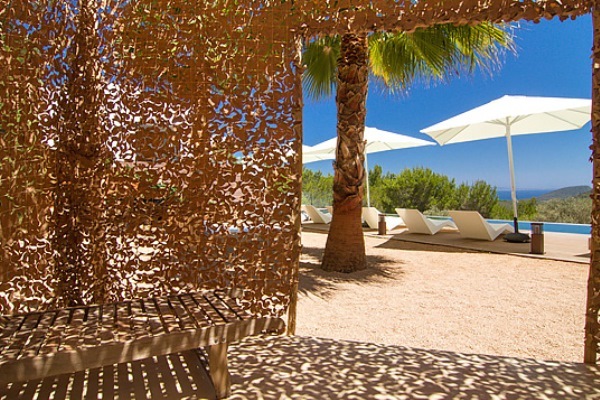 This deluxe Balearic residence is a very private, gated and secluded away in an already very quiet area. 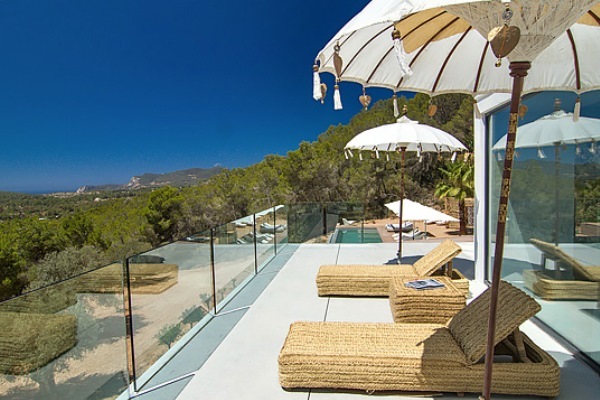 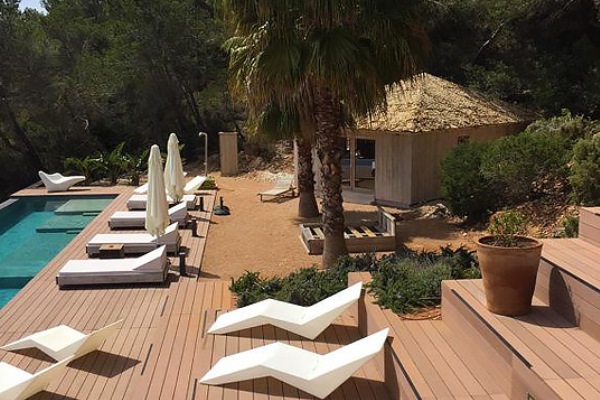 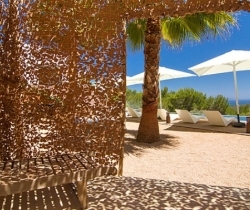 You will have very few neighbours and the airport (10 km), Ibiza Town (12 km) and the beaches of Cala Jondal and Es Cubells (8 minutes’ drive) are easily accessible. 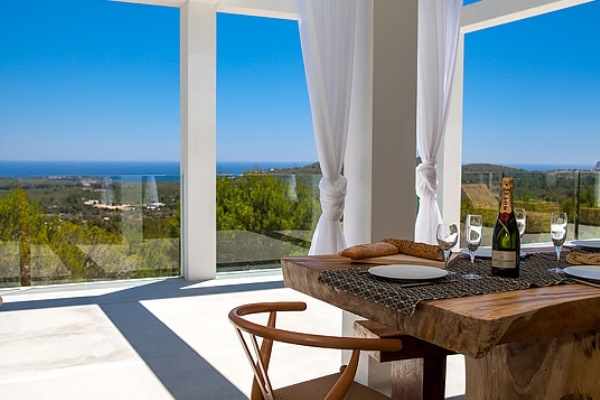 One of the outstanding qualities and features of this lovely villa is the artful arrangement of terraces layered to the hill’s slope. 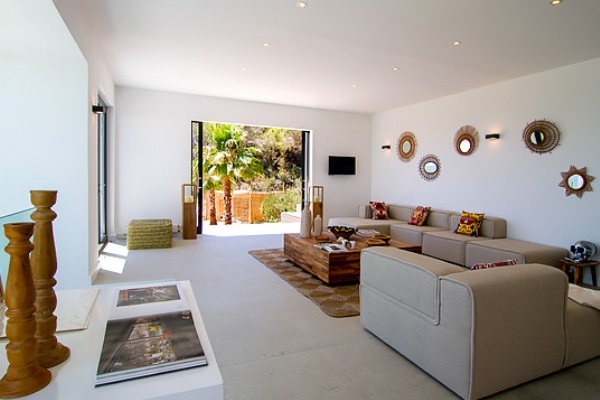 Another is the clever reclamation and distribution of light, air and space accentuated by a highly prominent design featuring clean and sharp lines with pristine white walls and flooring. 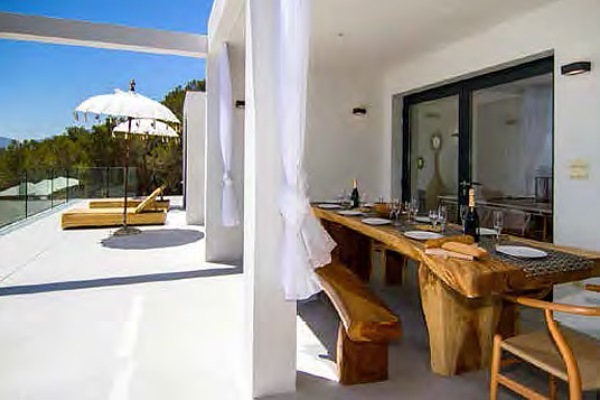 Outside a magnificent, almost twenty-metre long infinity swimming pool stretches along its own terrace accompanied by a wide, wood-laden sun deck overlooking an olive grove to the sea beyond. 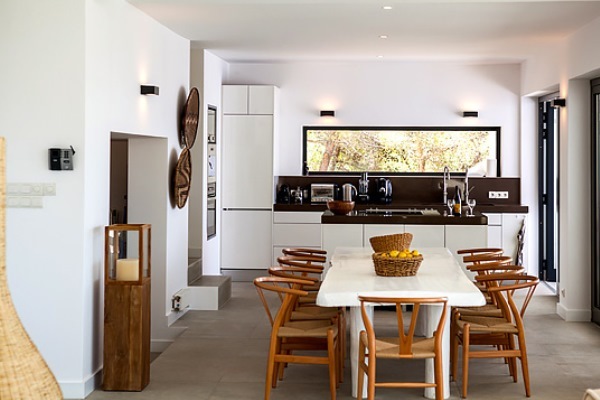 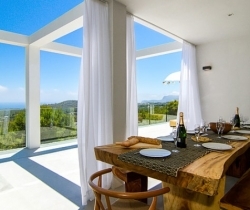 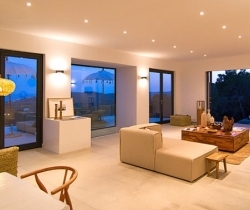 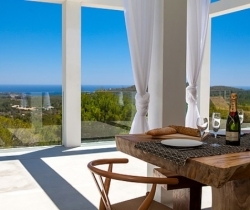 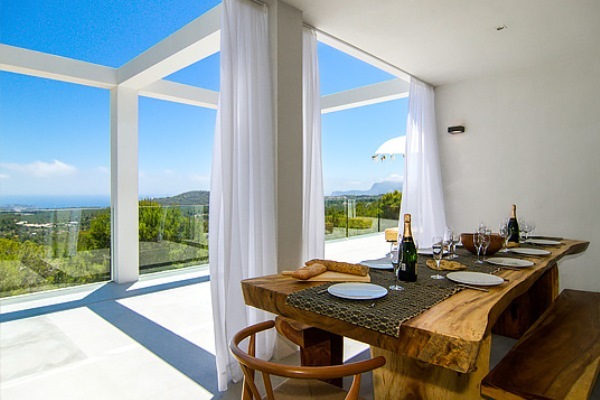 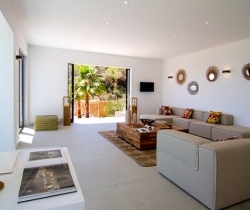 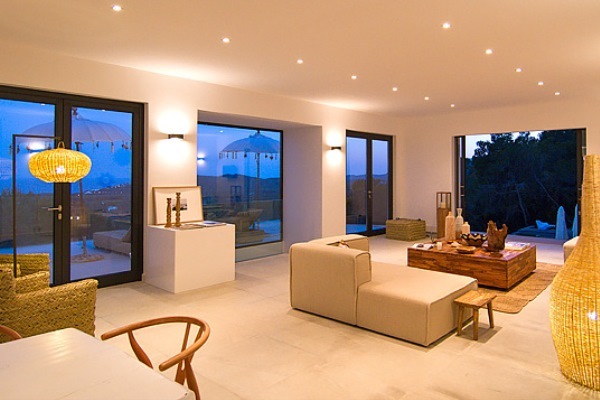 Wide, tall, full-length windows and sliding glazed walls opening the interior to layers of terrace promote an immaculate distribution of light and air throughout; features that make this hilltop property an exciting addition in the luxury villa rental niche of Ibiza. 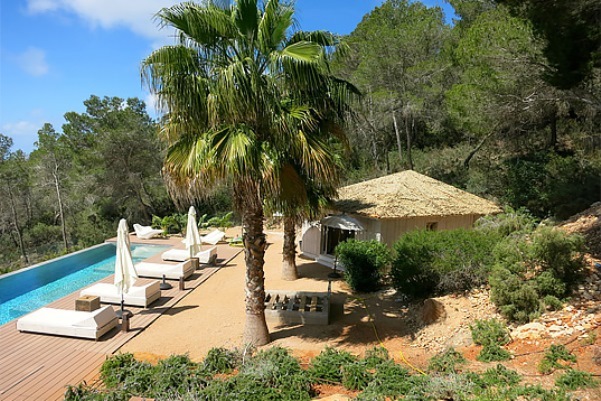 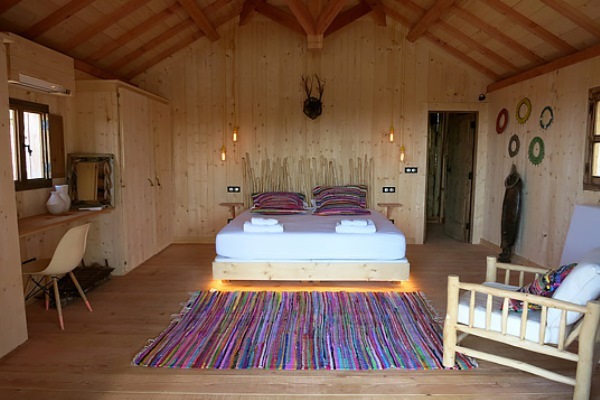 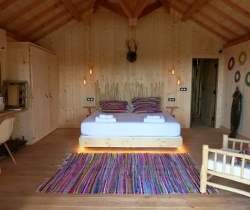 With a design most becoming and set side within beneath a pine forest and above an olive grove, this is a surprisingly open luxury villa arranged with 3 distinct levels. 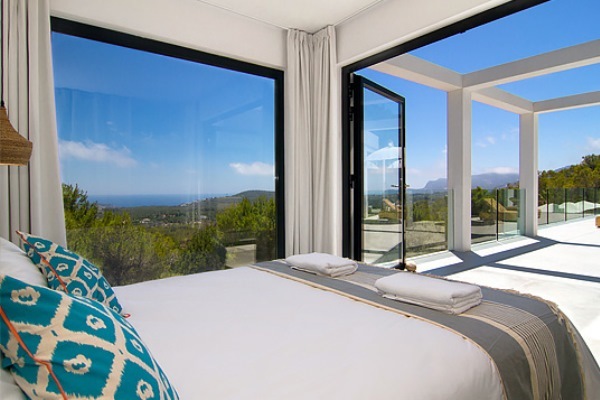 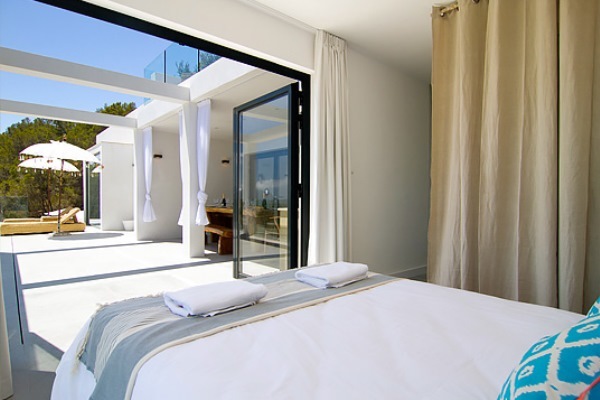 The 6 very chic, very elegant and very spacious bedrooms include 2 huge master suites – opening to pool level and roof terrace (with outdoor en suite too) respectively – and each opens to an outdoor terrace and a captivating sea view. 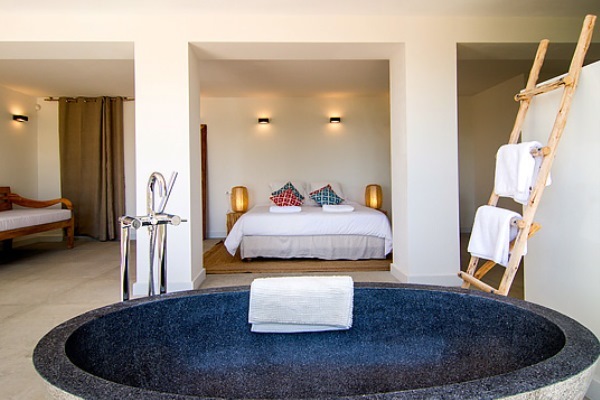 A Balinese-style wood cabana offers a popular spot, which will be as much favoured by your more independent teenage family members as it will be for friends enjoying a memorable overnight visit. 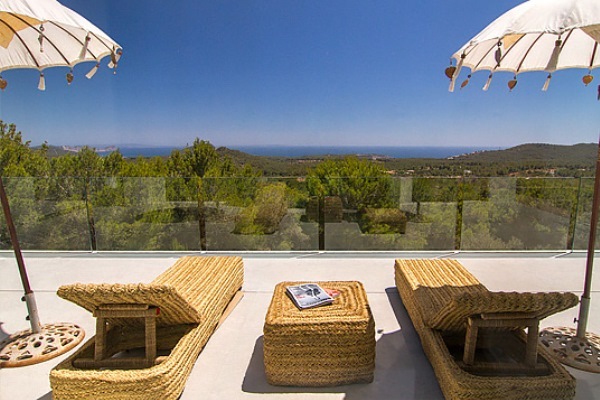 The layers of terracing allows ample scope for finding a quiet, restful corner ’corner’ and other shady, segmented and superbly furnished terraces are positioned to capture the wonderful scenery and allow its residence to enjoy the true essence of restorative, Mediterranean living ‘al fresco’. 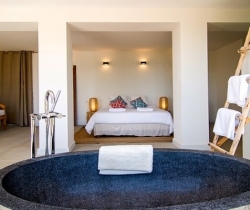 The luxury villa is an idyllic holiday home for a family or group of friends of up to 12 persons and is a very smart choice for anyone looking for maximum relaxation, with easy access to the island’s favoured spots. 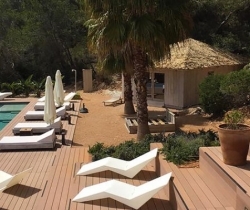 Yet again, this luxury property also offers the best of scenic locations, incomparable sea views, the excellence of comfort and service and serene, secluded tranquillity that everybody can enjoy. 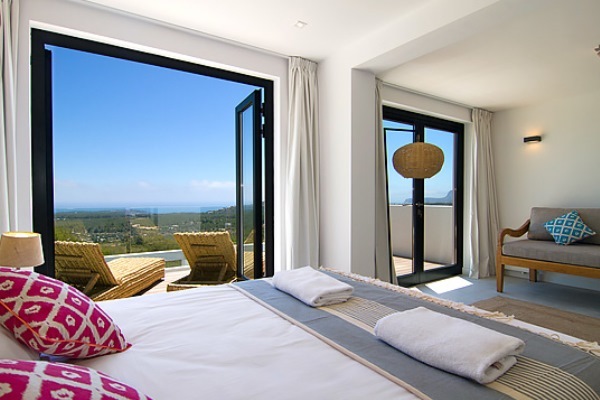 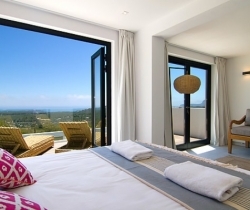 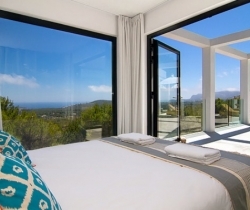 Lower ground floor: Master bedroom en-suite with access to the pool area; Two additional bedrooms sharing a bathroom.